- After all the Supply Truck reach the Warehouse, concentrate your defenses around the Warehouse and prepare for heavy enemies reinforcements. Beware for enemy SCUD Launcher. - If you've manage to free the POW, you can kill the enemy soldiers that inside a Civilian Building using your ranger equipped with Flash-Bang. First, use Colonel Burton as a bait by chargin the enemy that inside the Civilian Building, then use your Ranger to hit the Civilian Building with Flash-Bang. Or you can order Colonel Burton do the fighting building to building. - You can find the MIA Soldiers at the Civilian Building, like church, at the village. - At the north of the place where you've found the MIA Soldiers, you can find unoccupied Microwave Tank, Paladin Tank and Humvee. But beware, that many enemy vehicles is hidden at the Network Tunnel. - Enemy SCUD Storm is located at the around top center of the screen. Use A10 Strike to destroy it. - Beware, that many enemy vehicles is hidden at the Network Tunnel. - Destroy the Civilian Radio Station to stop GLA Propaganda. If you manage to do that, all the Bomb Truck will stop from attacking you. - Enemy SCUD Storm is located at the top left of your base. Use A10 Strike, Fuel Air Bomb, your SCUD Storm or Ion Cannon to destroy it. Try to combine of these attacks to destroy the SCUD Storm completely, because if you use only A10 Strike, Fuel Air Bomb, your SCUD Storm or Ion Cannon at one of the time, the enemy SCUD Storms will not destroyed. - Beware GLA Sneak attack that coming from underground. 1. Move your unit to Salvage Crates to upgrade the unit. Uprage your Quad Cannon so it can fire longer and faster. 2. You can capture the American building, just by abandoned your Combat cycle. Keep in mind, that the driver of the Combat Cycle maybe GLA Rebel or GLA RPG Trooper. Use your GLA Rebel to capture the American Building. 3. When crossing the bridge, beware of enemy stealth unit. 3. If you manage to capture the GPS Scrambler technology, you can use it at Radar Van, so the van can go into enemy territory a lot of safer. - Try to make defenses parameter near your buildings. 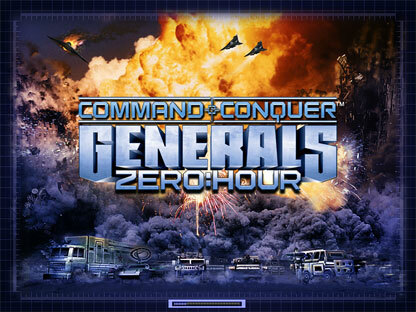 - If you manage to capture GLA Command Center, then you can build many Stinger Sites around the Power Plant to intercept any enemy aircraft attacking the Power Plant. - At the bridge, near the Valve Station, just destroy the Patriot Missiles. So you can capture enemy Crusader Tanks. - Before you take the Valve Station, position your 2 suicide bomb car behind Civilian Building near the Water Dam. Because, when you enter the Valve Station, and the Water is lower down, the enemy aircraft will attack the nearest your units. Hiding behind the Civilian Building, will guard your unit from their rockets. After that, hurry up to destroy their AirField. - Choose Rebel Ambush from your General Skill and release the POW. Whenever you succeed or not to deliver the POW to their base camp, the allied GLA Terror Cell will help you fight the enemies. But if you succeed, the Allied GLA will give you some money. You can use 3 Helix to do the rescue mission, upgrade each of the Helix with Bunker, Propaganda and Gattling Cannon. 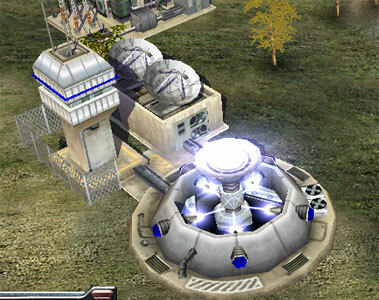 Fill the Helix Bunker with RPG Rocket units to increase your attack. - Create GLA Command Center, Chinese Gattling Cannon and GLA Stinger near Artillery Platform at the right of your Chinese Base and GLA Supply Stash at the north of your Chinese Base. 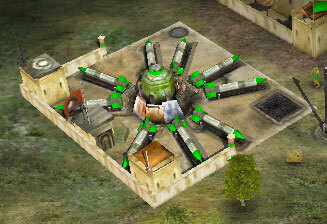 - Upgrade Capture Building and capture the Artillery Platform at the right of your base and also an Oil Derrick. - Create Chinese Airfield, 2 would be good. Then create Mig to patrol area near the Artillery Platform and the north of your base. - Create SCUD Storm and Chinese Nuclear Missiles as soon as possible to destroy enemy Ion Cannon. - If you manage to capture enemy Southern US Support Base, then build American Detention Center to find position of the enemies. - At an island at top left of the screen, you'll find many unoccupied Chinese vehicles and also Reinforcement Pad. - There's American Cold Fusion Reactor, Barrack and War Factory at the right of your base. 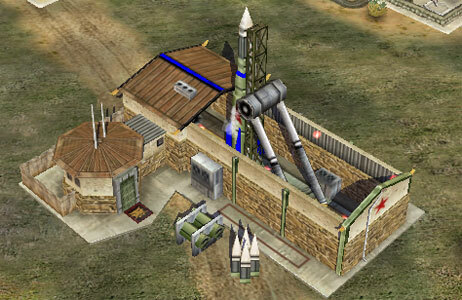 - Position your Nuke Cannon at Defense State. Activate Neutron Shells, so you can capture enemy vehicles once it's drivers killed. - This is the time battle missions. You must destroy the statues before the International Opinion reach zero. - If you have vehicles level 2 or upper, use it to attack enemy first, because it can automatically repair. - Build massive armies, because you need them. - Ignore everything, focus your attack on the statues and enemies defenses around that area. - Upgrade each of the Helix with Propaganda Center, Gattling Cannon and Bunker. Then upgrade them with Napalm Bomb. Guard the area at the left of the Artilerry Platform, south of your base, where the enemy will come. - Capture the Artilarry Platform at the south of your base. - Fill the Helix Bunker with Tank Hunter soldiers. - Place the Mines from Cluster Mines Aircraft at the front of the Artillery Platform. - There's unoccupied Humvee, Avenger, Paladin, Tomahawk and Microwave Tank near your base, capture it. - Capture nearby Oil Derrek. - Prepare for enemy aircraft attack and enemy Sneak Attack. - Plant mines around your building and upgrade it with Neutron mines whenever available.